Postino, based on the Oscar-winning film, and commissioned by Los Angeles Opera, debuted in 2010 in Los Angeles with Plácido Domingo and Charles Castronovo in the leading roles in a production directed by Ron Daniels. In the short time since its premiere, Il Postino has been broadcast nationally on PBS and produced in five different countries. The European premiere followed at Vienna’s Theater an der Wien (December 2010), with subsequent performances at Théâtre du Châtelet in Paris (June 2011), Palacio de Belles Artes and Festival Cervantino in Mexico City (October 2011), Teatro Municipal in Santiago, Chile (June 2012), and the University of Houston (April 2011). Madrid’s Teatro Real presents the Spanish premiere in June 2013 with Domingo and Castronovo reprising their leading roles. Sony Classical releases the DVD of LA’s award-winning premiere production in autumn 2012. In May 2012, Center City Opera in Philadelphia premiered a reduced orchestration of Il Postino. At the time of his death, Catán was at work on his next opera, Meet John Doe. The University of Texas at Austin, which commissioned the opera, also premiered the chamber version of La Hija de Rappaccini in February 2011. 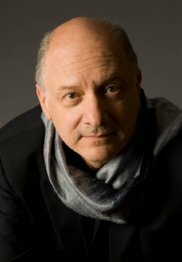 Catán’s non-operatic output is full of equally powerful works: Caribbean Airs for orchestra with a featured role for the percussion section (2007); En un Doblez del Tiempo (A Fold in Time), and an orchestral suite from Florencia; Mariposa Obsidiana, for soprano, chorus and orchestra; and the small but charming Encantimiento, for two flutes. His music is published exclusively by Associated Music Publishers. For specific inquiries about this composer, please contact Peggy.Monastra@schirmer.com or (212) 254-2100.